HOMEWOOD, Ala. – Black Warrior Riverkeeper will partner with several regional artists including Liz Lane, Joan Curtis, Lorrie Lane, Sister Art Pottery and many more for a public event called “My Heart through Art” on Friday, February 8th, 5:30 to 7 p.m. at Liz Lane Gallery (1923 29th Ave South, Homewood, AL 35209). The event will feature a large collection of postcard sized art perfect for sending to one’s Valentine. Original works, including paper, ceramic and canvas pieces, will begin at $20. Each artist has graciously donated work for this show, so all sales from this collection will go directly to Black Warrior Riverkeeper. Visitors will enjoy wine and hors d’oeuvres. There is no admission cost, but optional donations to Black Warrior Riverkeeper will be accepted. The collection will be available for purchase the night of the show through Valentines Day, February 14th. A full list of artists participating will be available February 1st at lizlanegallery.com. Art in this collection will include non-representational and representational works. “We are so grateful that talented artists love nature the way we do and have donated time, ideas and original art to support local water quality,” said Charles Scribner, executive director of Black Warrior Riverkeeper. Liz Lane Gallery is located at 1923 29th Ave South, Homewood, AL 35209. 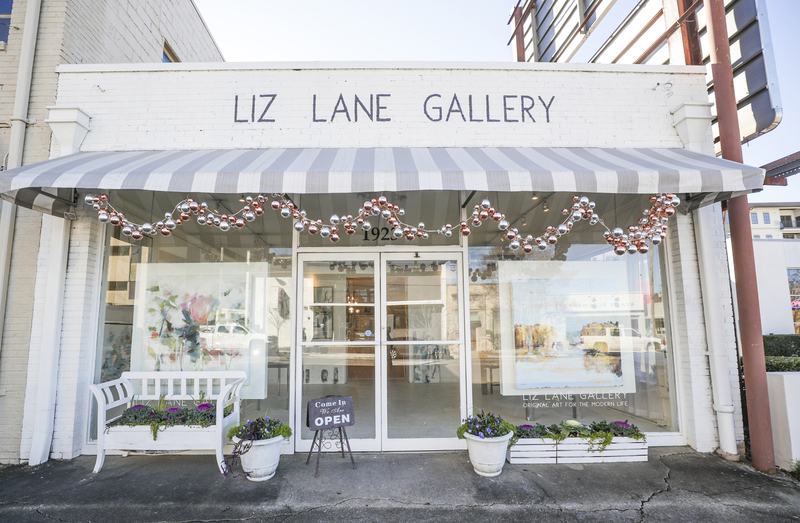 Owned by Liz Lane, Liz Lane Gallery carefully curates art from contemporary southern artists, whose work includes ceramics, iron works, paintings and illustrations. For a high resolution picture of Liz Lane Gallery, click here.